Tanya J. Tiffany, Diego Velázquez’s Early Paintings and the Culture of Seventeenth-Century Seville (Penn State University Press, 2012). 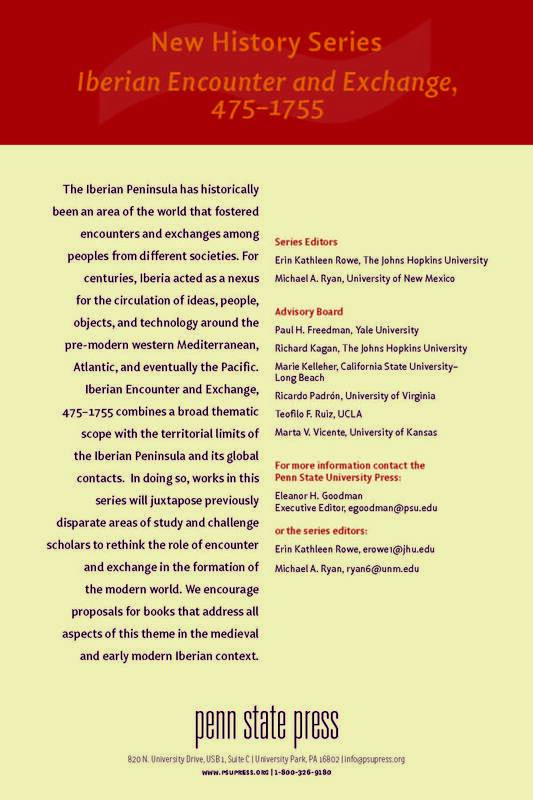 Race and Blood in the Iberian World (Racism Analysis/Yearbook 3 – 2012), ed. Max S. Hering Torres, María Elena Martínez, and David Nirenberg (Lit Verlag, 2012). The November 24, 2012 Washington Post featured an article about a group of evangelical Protestants in Colombia rediscovering their Jewish heritage and converting. John Tolan, Henry Laurens, and Gilles Veinstein, Europe and the Islamic World: A History (Princeton, 2012). Andrew Sluyter, Black Ranching Frontiers: African Cattle Herders of the Atlantic World, 1500-1900 (Yale, 2012). There is much about Spanish and Portuguese history in Baltimore’s Walters Art Museum’s exhibition, “Revealing the African Presence in Renaissance Europe,” as this review in the New York Times, Nov. 9, 2012, by Holland Cotter, shows. Erin K. Rowe, now at Johns Hopkins. Molly A. Warsh, now at Pitt. Danny Wasserman Soler, now at Oberlin (for a one-year position). And if anyone else has a new job, please let me know. Just out: Patrick O’Banion, The Sacrament of Penance and Religious Life in Golden Age Spain (Penn St. Press, 2012).